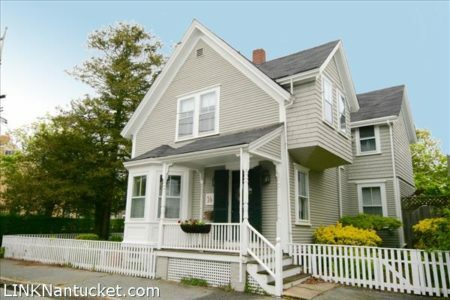 Charming Victorian home ideally located on the corner of Pleasant and High Streets, accented by a large annual and perennial garden, complete with walking paths. The home offers multiple indoor and outdoor living spaces, high ceilings, off street parking, basement for ample storage, rental potential and is a short stroll through the historic district to shops and restaurants. Lower Level Unfinished, offering ample storage. The space is either accessed via a stairwell by the covered porch or by a hatch in the kitchen floor.